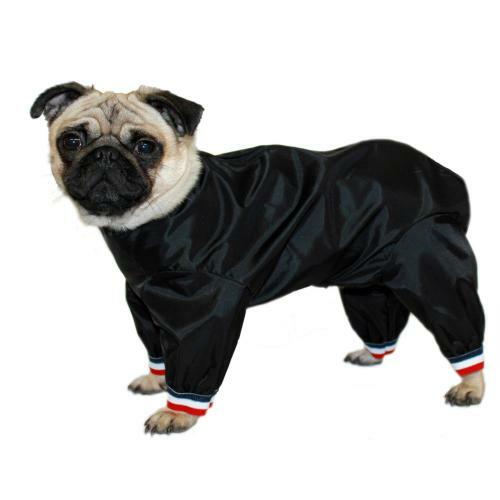 The Cosipet half leg trouser dog suit is a fantastic multi-purpose trouser suit now tailored to provide cover for short legged breeds, and is just right for maintaining a 'just groomed' look for your dog. You can be sure that your dog will be warm and dry in this dog suit. For a cosy and comfortable fit there are elasticated cuffs to stop slippage and to keep heat in and water out and a handy zipper along the back of the suit. Cosipet Trouser Suit Dog Coat Red 51cm / 20"